A new "Haiti Plaza" proudly located in the square of the capital capitol city in Quito to honor two of Haitian leaders and the flame of 1804. In May 2015, Ecuador unveiled the statues of Haitian forefathers, Jean Jacques Dessalines who was the first president of Haiti after its independence and Alexandre Pétion considered as the Father of Pan-Americanism, and the statue of a flame with the inscription of "Haiti 1804". 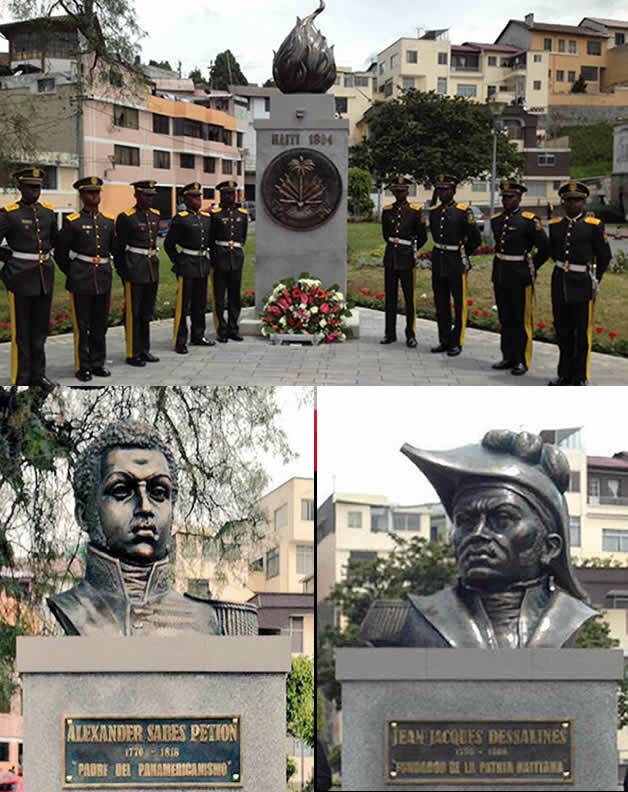 On Wednesday, May 6, 2015, on a new plaza, located on the square of the capital city Quito, Ecuador unveiled two statues of Haitian forefathers, Jean Jacques Dessalines, the first President of Haiti after its independence and Alexandre Pétion, the second President of Haiti and Father of the Pan-Americanism. 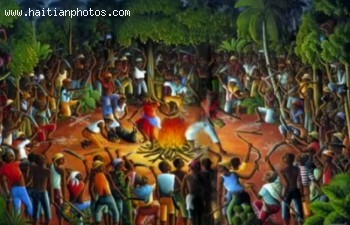 There was another statue of a flame with the inscription of "Haiti 1804". As their affiliation with ALBA (Bolivarian Alliance for the Peoples of Our America), Haiti and Ecuador both enjoy pretty good relation. Ecuador is a core member of ALBA, and Haiti is an observer state. Their bilateral relation centers on the immigration policy, as Haitian immigration to Ecuador has increased dramatically. 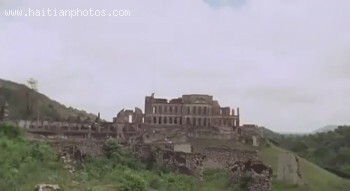 Ecuador is a good contributor of several development and stabilization projects in Haiti. Since Martelly's last visit to Ecuador in July 2012, the two nations have deepened bilateral relations and cooperation in areas such as health, migration, education, air transport, technology and infrastructure. 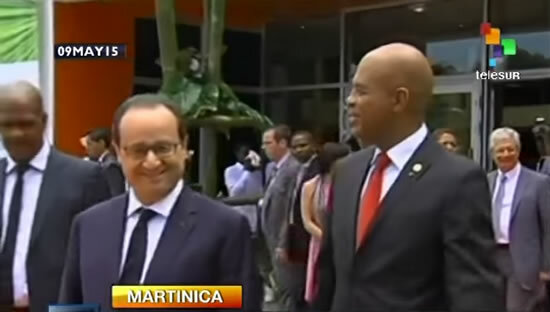 French President Francois Hollande made a surprising statement n regard to the debt to Haiti on his way to Haiti. 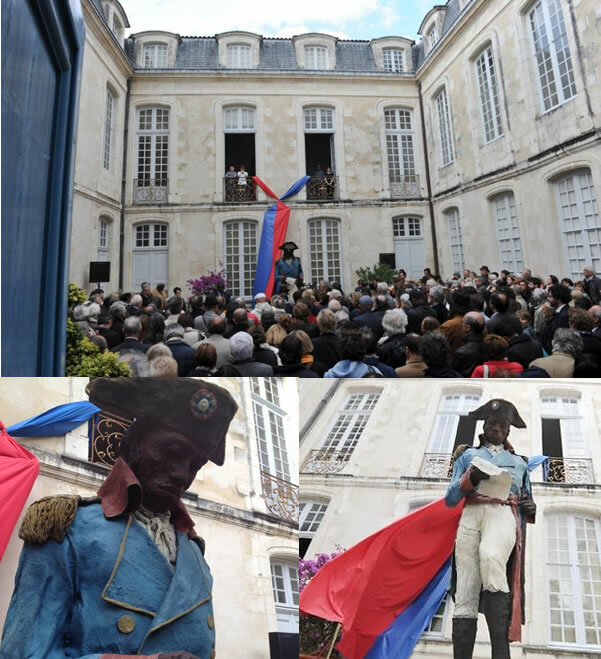 At the inauguration of a memorial for slavery in Guadeloupe on Sunday, May 10, 2015, he evokes France's 'Debt' To Haiti, but refused to admit that France will pay back the money owed. Pressure has been mounting on France to pay back the money it has asked Haiti to pay after Haiti's independence. Some believe that this obligation on the new republic after its independence is a major factor in the poverty of te island. In 2013, Francois Hollande evoked France's "debt" toward Africa. In 2010, President Nicolas Sarkozy became the first French seating president to visit Haiti in the aftermath of the earthquake. 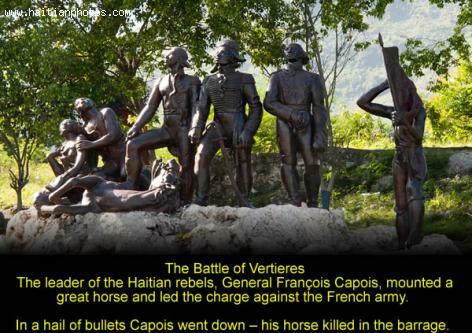 Over 200 years ago, when Haiti became the first black independent Republic of the world after defeating the army of then French Monarchy, it agreed to pay France an "independence debt. In 1825, the French ruler, King Charles X agreed to recognize Haiti's independence after 14 years of bloody battles on condition that the new Black Republic will pay 150 million gold francs in ransom. 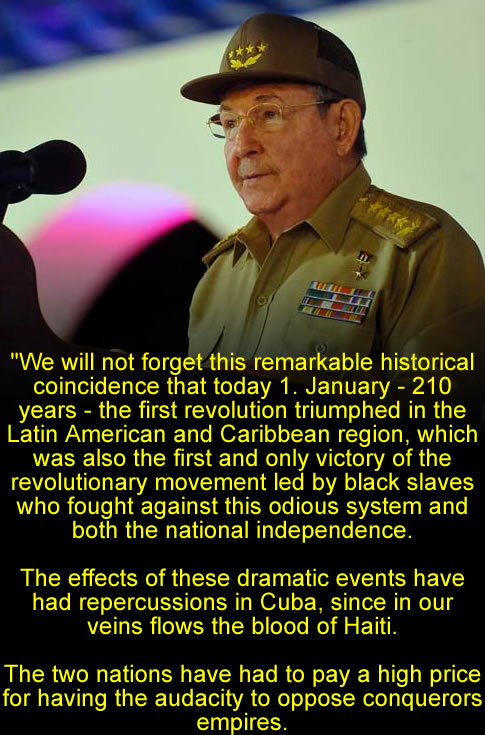 It was later reduced to 90 million gold coins and the extorted bounty was distributed to the white slave holders for the loss of "property" they claim to have suffered as a result of the abolitionist Haitian Revolution. 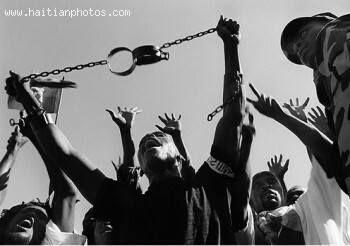 Haitians believe that it could be a big reason for Haiti's present suffering because the country was forced to pay most of its wealth to France for own freedom. Between the years 1825 and 1947 (140 years after the abolition of the slave trade), this barbaric and illegal ransom was collected through violent means with an official French ordinance which threatened to re-enslave the self-liberated Africans. 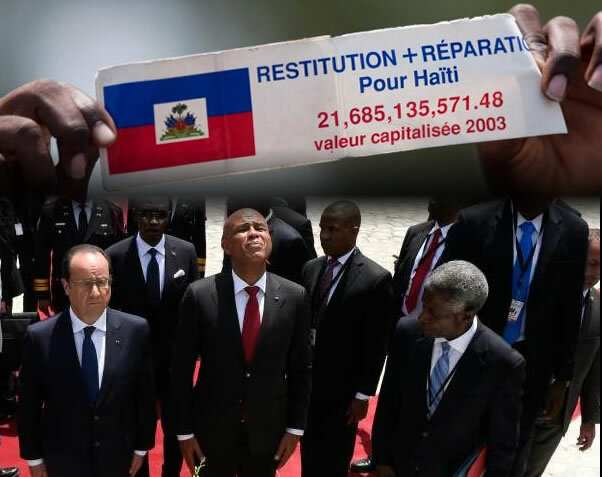 On April 7, 2003, the value of the infamous Charles X ransom was estimated at around $22 billion by the Haitian President Jean-Bertrand Aristide and he demanded its restitution. For most Haitians, the recent visit of the French President François Hollande to encourage investment is reminding them how their ancestors were punished by the French and forced to pay a big price for country's successful slave revolt for independence.